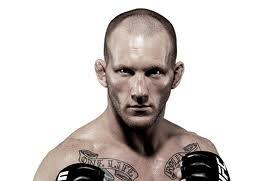 The UFC announced on Sunday that Gray Maynard and Clay Guida will square off at UFC on FX 3 this June, the second FX headliner featuring the lightweight division. Maynard will look to bounce back from the first loss of his MMA career, a fourth round knockout against Frankie Edgar in their epic third meeting last October. Guida will hope to rebound himself, having suffered a decision loss to now-Champ Ben Henderson at UFC on Fox 1 last November. That loss was a setback after a win over final WEC Champ Anthony Pettis last September, but now both fighters will have five rounds to get back into the title picture. The event will come on June 22, though no venue or location has yet been revealed for the card. Penick’s Analysis: I’m a little surprised they’re going with this fight as a five-round headliner with both coming off losses, but it’s a great fight regardless. Both need a big win to get back after losses in the division, and they’ll need a big performance here to make their case for doing so. It’s a very tough stylistic matchup for each of them, and I’m very much intrigued to see how the fight plays out this June.